Police are appealing for witnesses following the fatal incident this week. A 28-year-old man has died at the scene of a collision after his car left the M1 carriageway in Northamptonshire before hitting a road sign. The single vehicle collision happened at about 11.10pm on Wednesday (March 14) on the northbound carriageway, about a mile before the junction 15 exit for Northampton. 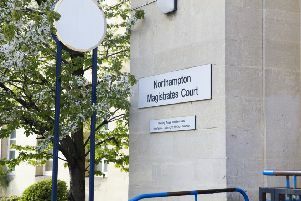 The collision happened when a black Saab 9-3, driven by a 28-year-old man from Northampton, left the carriageway and struck a road sign. The driver sadly died at the scene, Northamptonshire Police today revealed. Witnesses to the collision, or anyone with information, are asked to contact the Serious Collision Investigation Team on 101 or call the Drivewatch Hotline on 0800 174615, quoting incident number 594 of 14/03/18.